Taste of Chicago is the world’s largest food festival, held annually for five days in July, in Grant Park. Stratos Jets will arrange charter flights to Chicago over the Independence Day weekend for a culinary feast you won’t soon forget. And, of course, there are the traditional Chicago mainstays such as deep-dish pizza, Chicago-style hotdogs and Italian beef. In addition to delicious eats, the Taste of Chicago attracts a lot of top international talent, as well as up-and-coming local acts. Weezer, Erykah Badu and Robin Thicke have all headlined the festival in past years. Plus, when you fly privately with Stratos, you can get a head start on the gourmet fare by requesting in-flight catering. Are you hoping to tantalize your palate with a trip to The Taste of Chicago? 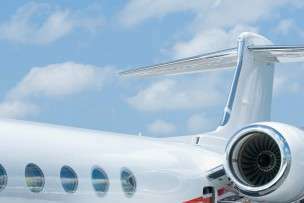 Contact Stratos Jets to arrange a jet charter to Chicago that will get you there in sumptuous style. Call (888) 593-9066 (toll free) or request a quote online.